I love technology. I love how it can make our life easier. I love how it expands our reach by opening communication across the globe and aids in learning no matter where you are. What I don’t love is using technology just because you can. Why write 10,000 words when 100 will suffice? Why take a zillion photos of the same thing? Over consumption and overuse of technology is not always a good thing. 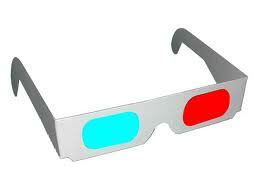 3D movies are just one example of why technology should be considered before use. I’m all for great cinematography, in fact, that’s my number one criteria for a good movie. But when you have a bunch of stuff flying at me just because 3D is “cool”, I’m not impressed. I think it’s a money-making scheme and a waste of imagination and talent. However, if 3D is used to express emotion- such as in Disney’s “Up” where Carl and Russel trek to Paradise Falls on foot and the 3D adds so much dimension to the path that you feel despair and begin to wonder if they’ll ever reach the Falls- that feeling makes 3D worth it. Make sound decisions about the technology’s goal. If it can’t aid in the communication process, add value to the class objectives, or enhance a learner’s experience, take a step back and rethink the use of the technology. Posted on December 18, 2013, in Educational Technology, Tausend Talks Shop, Technology Management and tagged 3D Movies, Technology. Bookmark the permalink. Leave a comment.